Part: # 00236 Size: 16 oz. 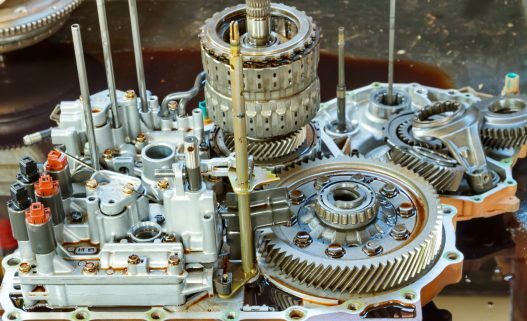 Turn engine off and pour proper amount of BlueDevil Transmission Sealer into the transmission (1 ounce of BlueDevil treats 1 quart of transmission fluid). 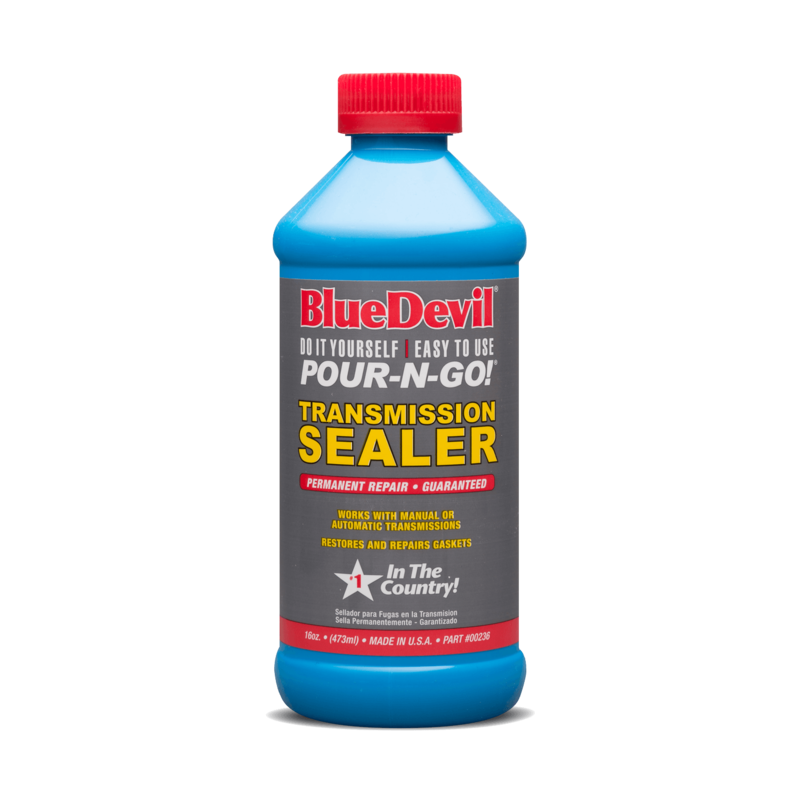 BlueDevil Transmission Sealer restores seals to their original condition while you drive and works with all types of transmission fluids. DO NOT USE IN BRAKE SYSTEMS OR ON PAINTED SURFACES! I have never believed in “magic fluids” that fix mechanical failures in gaskets and seals, but when faced with a $900 transmission repair I decided to try this product. After only 3 days in my system, I am astonished to report that my thoroughly shredded torque converter gasket (which used to drop about a quart every 100 miles) is completely sealed. I havn’t seen a drop spill in over a month since the leak first dissipated. Kudos, Blue Devil. You have made a believer out of me. I’ve tried a few products this one actually works. Within 2 days the chirping was gone and the leak was sealed. 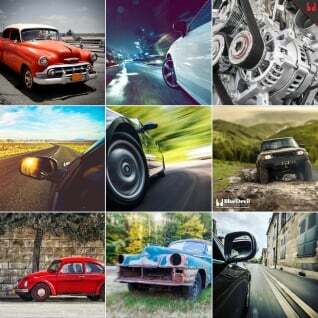 Highly recommended for your older vehicle. Saved me $$. BlueDevil Transmission Sealer is a unique plasticizer for rubber seals. 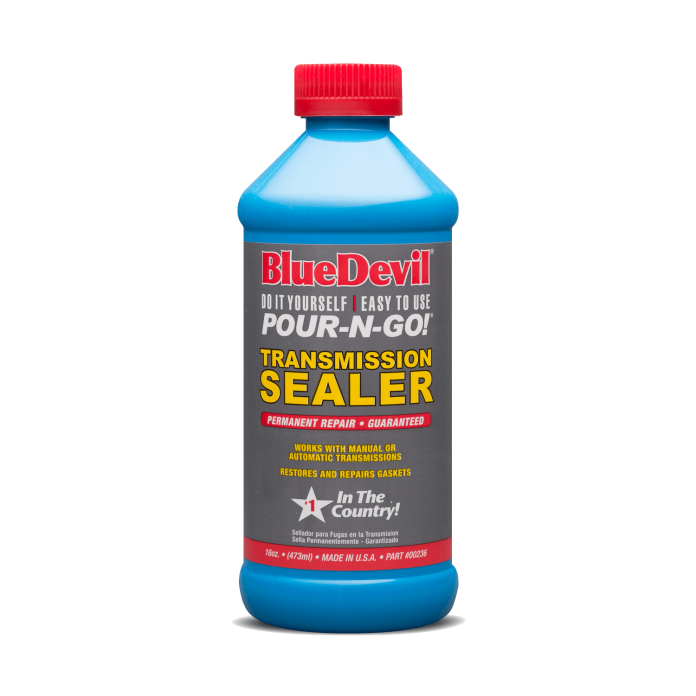 BlueDevil absorbs into the seal to soften, expand & revitalize the size and flexibility to its original condition. 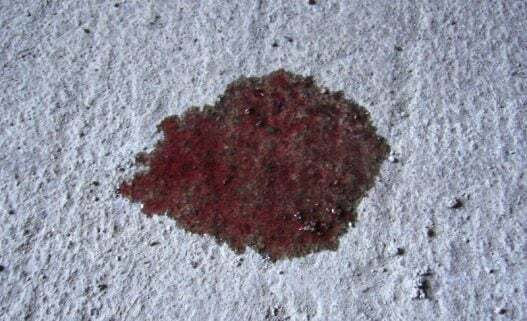 Do I have to change my transmission fluid after I apply BlueDevil?